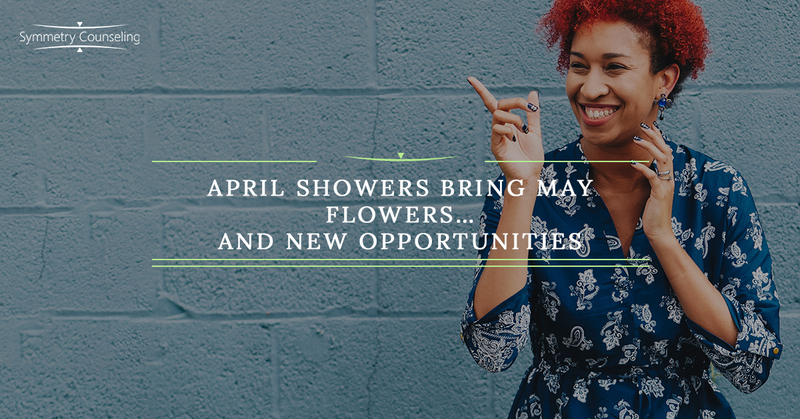 Many of us grew up hearing the phrase, “April showers bring May flowers,” regarding the weather being gloomy and rainy in April with the hope that it will bring flowers in May. While this phrase pertains to the weather, it can also pertain to your life, particularly your professional life. Most people go through an adjustment period at some point in their life such as resigning from a toxic job environment or getting fired or laid off from their job. This period can be incredibly stressful, overwhelming, and even cause some depression. It is important for people to remember that with every adjustment period, there are great things waiting on the other side. Those “April showers” will eventually bring “May flowers” in the near future. All it takes is a little change in perspective. What are my passions? Take this adjustment time to really reflect on what career path and interests you have. You could even do this through journaling. There is no need to take the first job offered to you. Remember, this is the time for you to be selective and find a job that brings you the most joy and fulfillment. While no job is perfect, you likely will spend 40 or more hours a week there; it might as well be something that you truly are passionate about! Who is in my support system? Remind yourself who you can rely on during this time. Also, remind yourself that you are not a burden when leaning on close friends and family members during this time. It is okay to ask them for support; in fact, it is strongly encouraged to lean on someone during adjustment periods. It will help you feel better! Enjoy this time off. Enjoy taking time to implement more self-care into your routine. Start reflecting on the different forms of self-care you enjoy whether it is working out, reading a book, going on a nature walk, or doing a spa day at home. Remind yourself it is important to enjoy this time, as you likely will not have as much time off when you do land your next job. For more self-care ideas, check out my previous post about Celebrating You. Remember your self-worth. Remind yourself that your job does not identify who you are as a person. If you did get fired or laid off, remind yourself that you are still a good person. A job is just what you do not who you are. Make a schedule. After spending time reflecting and implementing self-care, make a schedule. It can be tough when the majority of your friends and family are working during the day while you are currently in between jobs, so you should make it a priority to keep yourself busy and productive. Schedule your day with tasks, whether it is working out, going to the grocery store, networking with people who could help you land your next job, or practicing being in the present moment by meditating with some essential oils. This too shall pass. Don’t lose faith in yourself. As long as you continue to practice self-care and stay motivated, you will eventually find your next job! While this list provided several ways to cope with tough transition periods, reflect on what would be the best way for you to cope during this adjustment time. After all, you know yourself best! If you are currently struggling with how to cope with a tough adjustment period in your life, it may be a good idea to connect with one of our skilled counselors at Symmetry Counseling today. You can contact them at 312-578-9990 to set up an appointment.